Bryana, lc, haley...you inspire me daily. way to be. can't wait until i come up with my good idea. lc has her own baking company, coco love homemade! I got to try all the whoopies when i was in philly, and they are DELICIOUS! haley started a new blog where she paints her favorite recipes. it's the COOLEST, and she may even have a book deal on the table?!?!? Don't Eat the Paintings. 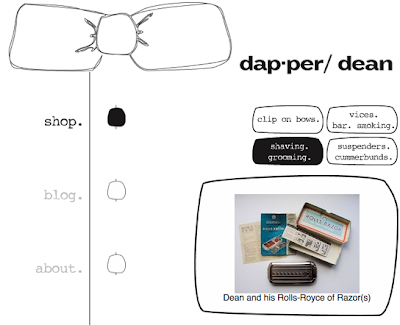 bryana has the most amazing assortment of vintage men's accessories you've ever seen on her website dapper dean...now only to find a boy who likes to wear vintage men's accessories. hope someone LOVED their valentines day/ anniversary present!